Predictably, the finalization of transit protocol between Nepal and China that provides Nepal access to four sea ports and three land ports in China for transit purposes, triggered questions in the Indian media about the economic viability of using Chinese ports. Two contrasting numbers were bandied about: 2,500 plus kilometers versus less than 1,000 kilometers. They refer to the approximate distance between Kathmandu and the nearest available sea ports in China and India. Analyst Brahma Chellaney, who has of late taken to lamenting Nepal’s alleged slipping away from India’s putative sphere of influence, proclaimed with divine confidence that the Himalayas have to move southward for transit through China to be a credible alternative to transit via India for Nepal. The reactions and commentators down south, perhaps echoing the concerns of the establishment, border on a Freudian slip, betraying a stinging realization that Nepal finally has an alternative. A transit agreement with China was a long time coming. Nepal should have pursued one in the aftermath of the 1989-90 blockade by India. Two blockades, albeit less punitive, had already preceded it. In the euphoria over the ushering in of a multiparty polity in 1990, the blockade was forgotten as a bad dream, just as the Zone of Peace proposal was given a rude burial. Anyone suggesting that another blockade could not be ruled out ran the risk of being billed an alarmist. A country with a multiparty political system, where the monarch had been cut to size, would not be blockaded, it was thought. A country that had borrowed a term for democracy, not satisfied with prajatantra, from its neighbor would not be blockaded by that very neighbor, it was believed. And if a blockade did occur, in this age of instant communication, social media, citizen media and all the jazz, it would provoke an international outcry. As devastatingly proved by the blockade of 2015-16, these were only illusions, held by many in the political class and their intellectual sidekicks, blissfully oblivious of the Damocles sword named blockade that hung over the country. 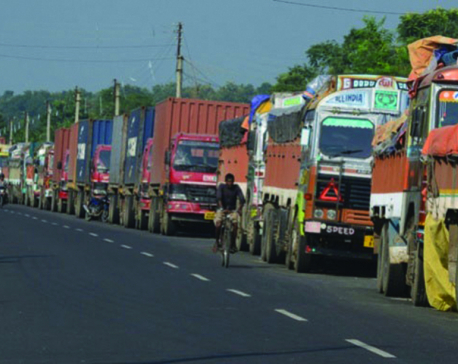 The latest blockade proved one too many, impelling Nepal to seek transit via its northern neighbor. Prime Minister KP Sharma Oli called the transit protocol an outcome of exceptional joy. The protocol deal, reached in September, will operationalize the transit agreement signed during Oli’s first stint as prime minister. The onus to sanction proactive initiatives to make use of the alternative transit facility thus rests on his shoulders. Earnest efforts should be able to yield something tangible by the end of this government’s term. The transit deal with China should not be reduced to an alternative meant to be invoked only in the event of a blockade. Just as it is wishful thinking to claim that transit through China will replace transit through India, so too it is fatuous to suggest that none of the Chinese ports on offer will be of any use except if the southern border is blockaded again. 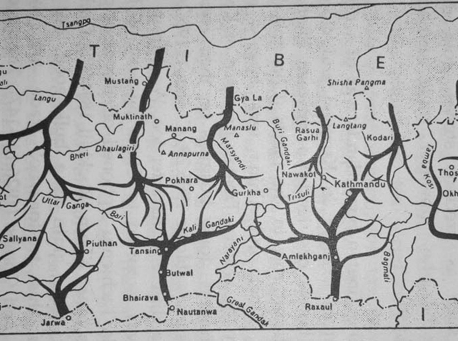 Remember, Nepal’s transit travails exist independent of a formal blockade. The government has its tasks cut out. Studies constitute the first key step. The cost and the time of importing from and exporting to different countries through China, using the available ports, must be ascertained. If some routes are not feasible now, then the possibility of them being feasible, say, a decade later needs to be rigorously explored. Being in regular touch with the Chinese government, including port and transport officials, in this regard would send a much-needed signal to Beijing that Nepal is serious about diversifying its transit options. Nepal’s private sector, including exporters, importers and freight forwarders, must have read or heard news of the protocol. Indeed, some have been quoted in the media as expressing doubts over the immediate relevance of the new transit facility. To be sure, they are not going to make a grand entry if the new routes do not make business sense. Imperfect information could mean they are unaware that the China option may make business sense with respect to, at least, particular origins, destinations and products. This is where the government needs to step in. Analyses and studies should be followed by collaborations with the Chinese government and the private sector under its aegis for encouraging Nepal’s private sector to use the new route(s) on a trial basis. Incentives should be provided, if necessary, for trial runs. 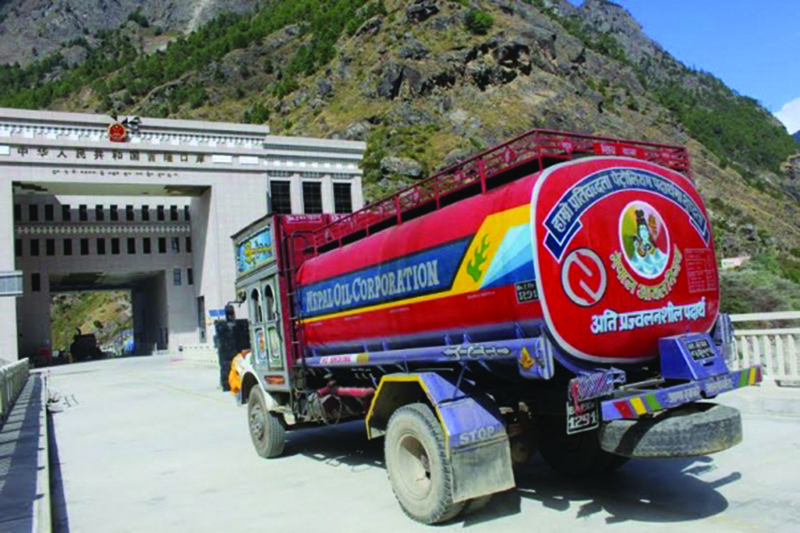 A press release issued by the Ministry of Industry, Commerce and Supplies states that the protocol opens the doors for Nepal to trade with third countries such as Japan and the Republic of Korea via China. Because it chose to categorically mention Japan and Korea in the press statement, the Ministry can, for starters, conduct a feasibility study on routing trade with these two countries through China. To argue that the inadequate transport, customs and other infrastructure on the Nepali side of the border limits the benefits from the transit protocol, and then do nothing about it, amounts to an out-and-out cop-out. The need for constant research and analysis extends to other related strategic issues too. They are needed for the government to be able to, for example, formulate a well-thought-out strategy for responding to and benefiting from the China-led Belt and Road Initiative (BRI) and the India-led BBIN Initiative. Pity, the government does not have a credible think tank. The details around the policy research institute it has just formed through an executive order are too sketchy to help foretell how it will fare. The track record in handling think tanks, whosoever is in power, does not inspire confidence. The Centre for Economic Development and Administration (CEDA) and the Centre for Nepal and Asian Studies (CNAS) are a shadow of their former selves. Otherwise, they would have been able to come up with a substantive analysis of, say, the options facing Nepal regarding engagement with BRI under different scenarios—with India (not entirely impossible) or without it. Poisonous party politics and insidious neglect killed, for any effective purpose, CEDA and CNAS. The situation has reached such a pass that any fairly ambitious and politically well-connected economist would covetously eye National Planning Commission membership or vice-chairmanship for its power and apparent honor but give a tinker’s damn to the prospect of assuming CEDA or CNAS leadership. If only such institutions were functional, they and, by extension Nepal, would be inviting select researchers from India and other South Asian countries as visiting scholars and have them contribute, alongside Nepali co-authors, to the discourse on regional integration in South Asia. It is not uncommon for think tanks in India—wholly or partly funded by the government—and China to rope in researchers from Nepal. The prospect of Nepal serving as a bridge for Sino-India trade, almost all of which takes place via a sea detour, is a natural corollary meriting in-depth analysis. The reference to trans-Himalayan connectivity in the joint communiqué issued during Oli’s June visit to China might have been inspired by what had transpired during the April informal summit between the Indian prime minister and the Chinese president in Wuhan. 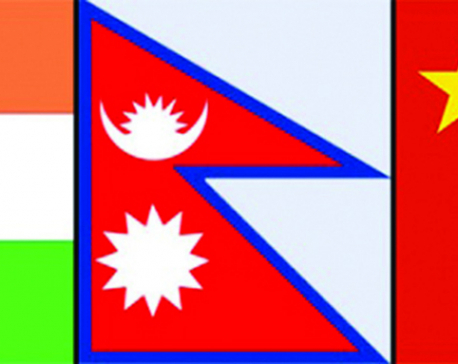 For a change, Nepal could take the initiative by floating concrete proposals for such trilateral cooperation. Again, trial ideas could be circulated through studies addressing questions such as: If 10 percent of India-china trade were to be conducted via Nepal, what would be the infrastructure needs and the environmental costs? What would be the benefit to Nepal, apart from fees, which, as per established rules, should not be more than that required to defray the cost of services provided? What is the viability of an economic corridor linking the two giant economies? That would be a fresh initiative indeed. While India has think tanks of all hues and with differing funding modalities, none, to this scribe’s knowledge, has done a detailed study on the possible reductions in trading time and costs that the use of land routes could mean for Sino-India trade. Professional and academic researchers there admit such a study is sorely needed. In another era, Nepal could have stepped forward to fill the gap. In the here and now, the nagging question is whether Nepal government’s brand new think tank is up to the prevailing need and task.